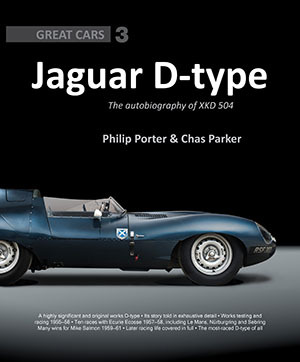 This superb book tells the story of one of the most historically interesting of all Jaguar D-types – a car that has raced more than any other D-type. 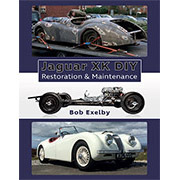 The long and varied life of XKD 504 is recounted in full, from its role as a works car used extensively for testing fuel injection, to two seasons of racing throughout Europe with Ecurie Ecosse, to four busy years of national competition in the hands of first Mike Salmon and then Peter Sutcliffe. 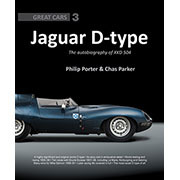 This book provides fascinating insight into every aspect of this D-type’s history, supported by a fine collection of period photographs. 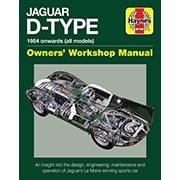 Any Jaguar enthusiast will enjoy this addition to the ‘Great Cars’ series. 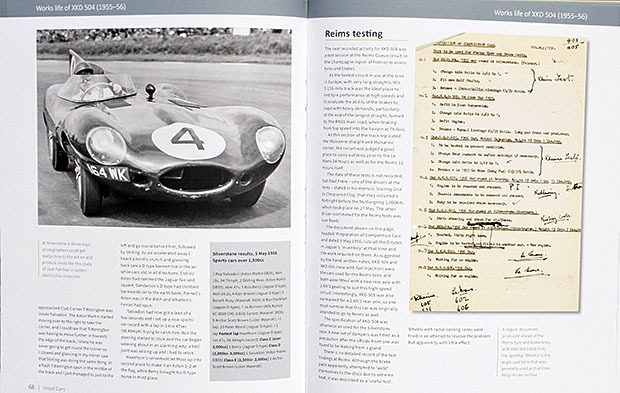 An exhaustive account of possibly the most-raced D-type ever. 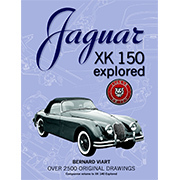 XKD 504 began life as a works car, then Ecurie Ecosse, Mike Salmon and Peter Sutcliffe. 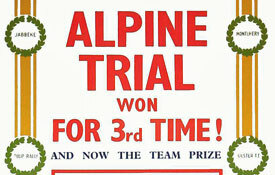 One of the last to be raced competitively. 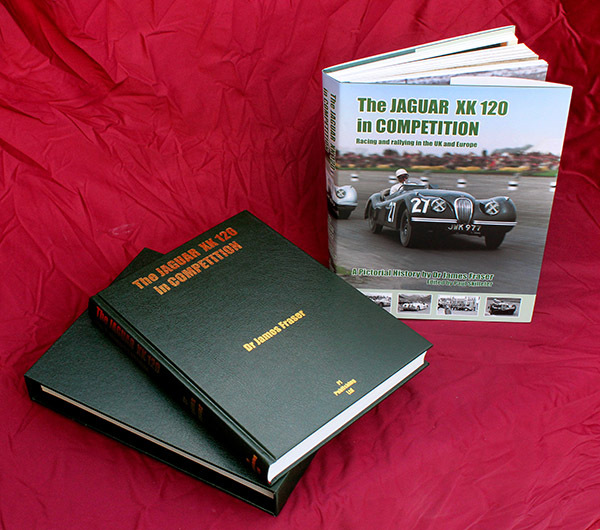 In the Porter Press Great Cars series. Many period photographs. 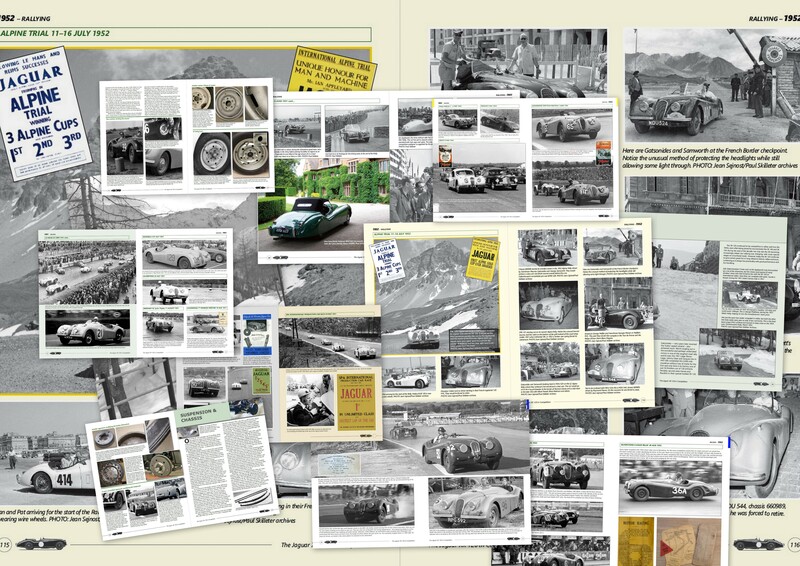 Key content • Life as a works car, including its important testing role and two races in 1956. 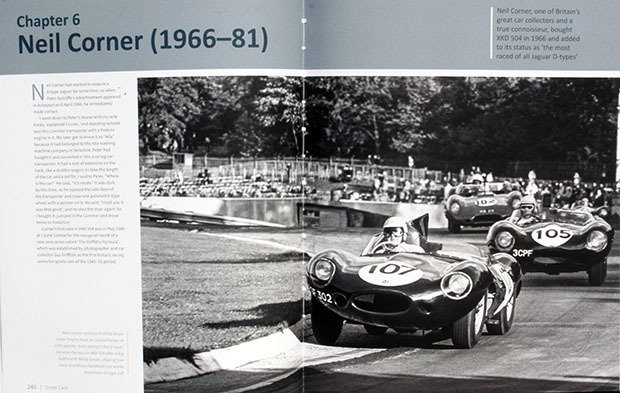 • Two seasons with Ecurie Ecosse, including sixth place in the 1957 ‘Monzanapolis’, fifth place in the 1958 Goodwood Tourist Trophy and a trip to Sebring. 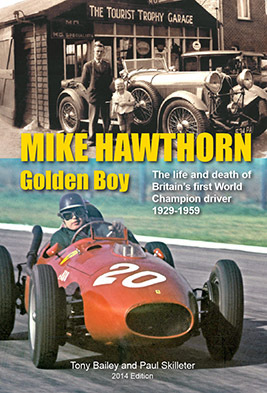 • In the period 1959–61 Mike Salmon raced XKD 504 45 times, culminating in victory in the Autosport Three Hours at Snetterton. 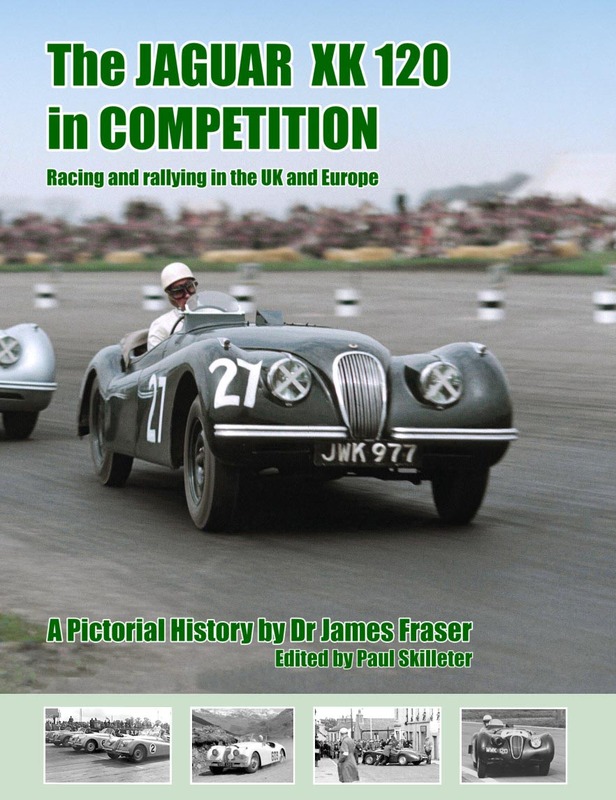 • Raced through 1962 by Peter Sutcliffe, who crashed heavily in XKD 504’s first outing of 1963. 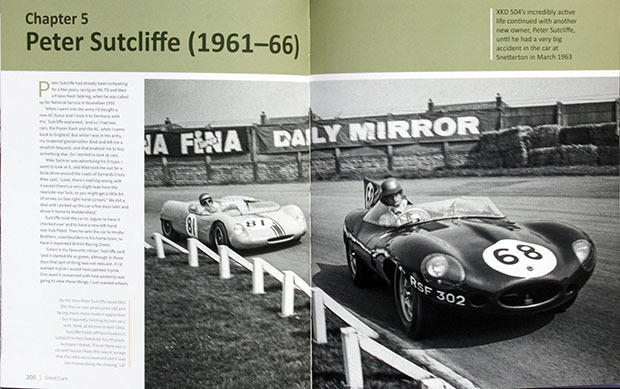 • This D-type’s active life in historic racing is also covered, including its long period in the ownership of Neil Corner, connoisseur collector and enthusiastic historic racer. 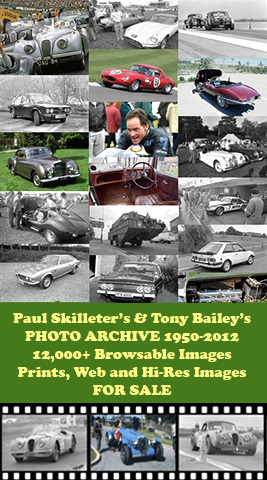 • Nearly 300 period photographs, many previously unpublished, supported by a portfolio of specially commissioned location photography. 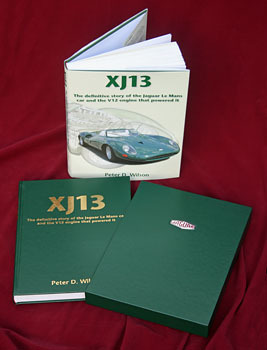 PRICE: £60.00 + Shipping. Please select the correct option.